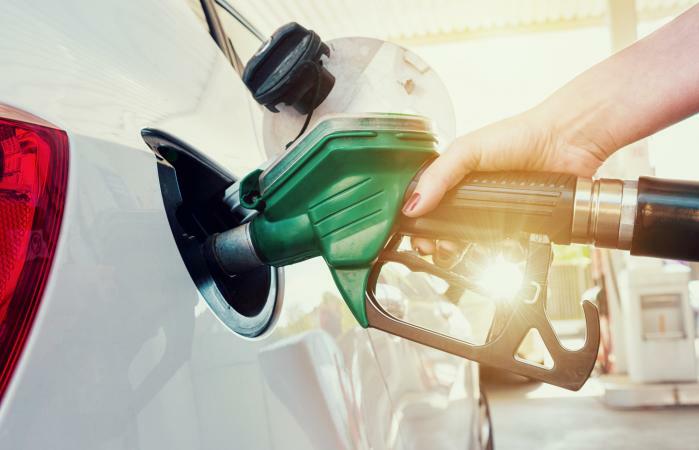 Fuel efficiency is important when you're considering a new car, since it can have a huge impact on your overall transportation budget. It's also a priority if you're trying to reduce your environmental impact. The following ten cars are among the most fuel efficient options available for sale in the US. You'll find electric vehicles, hybrids, and traditional gasoline options, all with gas mileage over 35 miles per gallon. If you include electric vehicles (EV), the Hyundai Ioniq Electric tops the list of the most efficient vehicles you can buy, according to fueleconomy.gov. The electric sedan gets 136 miles per gallon equivalent in EPA tests and has a range of 124 miles. This makes it great for short commutes, but it isn't ideal if you need to drive longer distances. Green Car Reports notes that the Tesla Model 3 Long Range is one of the most fuel efficient vehicles on the market, getting the electric equivalent of about 126 miles per gallon. It also has one of the longest ranges of any electric car on the market, capable of going 310 miles between charges. The BMW i3 with Range Extender tops the fueleconomy.gov Top Ten if you exclude exclusively electric vehicles. With an EPA-estimated fuel economy of the equivalent of 87 miles per gallon, this plug-in hybrid has a range of up to 180 miles. With a combined fuel economy of 78 miles per gallon, the Toyota Prius Prime is another vehicle worth considering. Car and Driver reports that it is one of the most efficient vehicles on the market because it can go 25 miles using only the electric engine. After that, it switches to the hybrid mode familiar from other Prius models. If you exclude electric and plug-in hybrid cars, the Hyundai Ioniq Blue Hybrid wins for the best fuel economy in EPA tests, getting an average of 58 miles per gallon. The hybrid technology allows the car to make the most of its gasoline consumption without restricting the driver to a certain range. According to Kelley Blue Book, the Toyota Prius is the second most fuel efficient vehicle on the market, excluding electric and plug-in options. This popular hybrid gets an average of 58 miles per gallon in the city, although it's slightly less efficient on the highway where it gets 53 miles per gallon. Other models of the Prius, such as the Prius c, are only slightly less fuel efficient. Car and Driver praises the Toyota Camry Hybrid as the most fuel efficient mid-size sedan. Toyota boasts that the Camry Hybrid can get 51 miles per gallon, making it a great way to carry the whole family in style without sacrificing fuel economy. CNET reports that the Kia Niro gets an average of 50 miles per gallon, placing it just after the Prius and Camry in terms of fuel economy. This hybrid crossover can haul a lot of cargo, which sets it apart. However, CNET adds that upgrading the car in any way will reduce its fuel economy, as the base model is noticeably most efficient. The next most efficient non-hybrid option, according to fueleconomy.gov, is the Toyota Yaris iA. This compact, four-door model gets an EPA-estimated average of 35 miles per gallon, and that goes up to 40 miles per gallon on the highway.